Bobby Klatt is a cyclist who resides in Green Bay, WI and is attempting to Race from Oceanside CA, to Durango, CO in 92 hours. The event itself is called the Race Across the West. He is partnering with 4th HOOAH of Wisconsin to raise funds for local Veterans in need. His goal is to raise over $10,000 to support veteran’s needs through 4th HOOAH WI. Bobby is originally from the small town of Cecil, WI. He moved to Green Bay 18 years ago. Bobby entered the cycling world in 2016 and as a 1st year cyclist qualified for the Race across America by completing a 400 mile race in Minnesota that was a part of the RAAM series. That race took him 31 hours to complete. Since then, he has completed several 100 mile rides and most recently climbed both Pikes Peak and Mount Evans in Colorado. 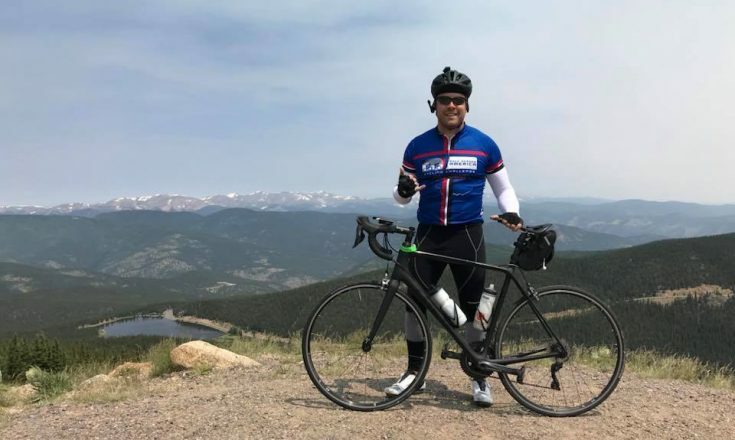 Bobby’s passion for cycling has brought him to a point where he would like to continue to grow as a cyclist and in addition, help those in need. With a platform such as the Race Across the West, he feels that it would be a waste of an opportunity not to give back by involving himself with an organization such as 4th HOOAH.